The 2017 Waggy T Super Knockout Football Tournament is alive and kicking with plenty of action. The event has already seen 8 matches contested, with another 8 scheduled for the 2nd week as organisers seek to be on track for a 2 December climax. Things have been hectic as the tournament normally played on weekends is also having matches during the week, on Thursday and Friday in a bid to ensure a timely closure in the 1st week of December. Eight matches were scheduled from last week Thursday and another 8 are also fixed for this week, with 2 games on Thursday, Friday, Saturday and Sunday at the Kirani James Athletic Stadium in St George. Nine of the 34 teams which began the event on 21 October, have already been sent packing, and the others are seeking more wins to advance deeper into tournament to have a chance at the championship prize of EC$84,000. Second round matches get going this weekend as former champions Hard Rock who got a bye, take on 1st round winner Happy Hill FC in the opening game on Saturday at the Kirani James Stadium in St George, from 7 pm. The second, from 9 pm, features another of the former champions Paradise against Mt Horne. There is another double header Sunday with Shamrock facing 1st round winner Willis Youths and Morne Jaloux who also prevailed in the 1st round meeting the winner of the Paradise/Real Ethiopian Stars encounter that was scheduled for Friday. 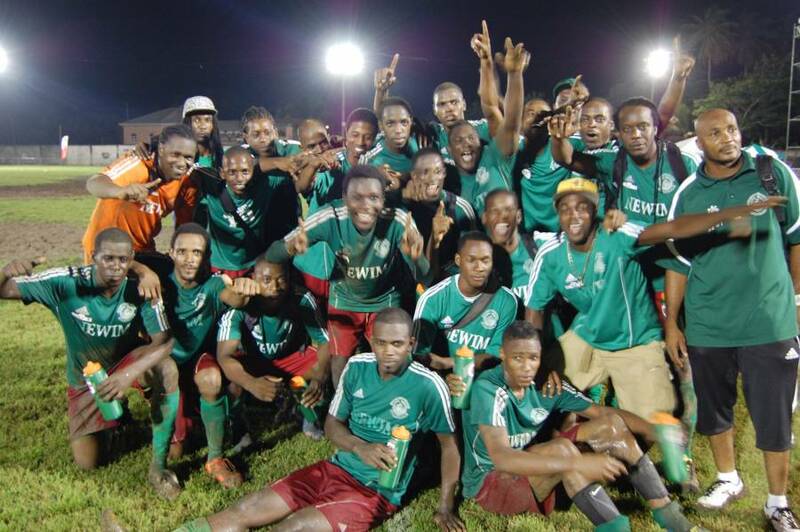 Last week Thursday, Morne Jaloux beat Real Old Men 5-0 and Willis Youths upset Fontenoy 2-1. Queens Park Rangers got off to an impressive start on Friday beating SABB Sports Club 5-0, with striker Brian Andrew scoring a hat-trick, while in probably the most competitive game so far Hurricanes got the better of Camerhogne 5-3. Ryan Alexander, Cassim Langaigne, Kimon Julien and Kriston Julien who struck twice were on target for Hurricane, while Kwazim Theodore, Kwasie Theodore and Kenny Regis replied for Camerhogne. Antillean GBSS have registered the biggest win to date an emphatic 8-1 drubbing of Tempe United on Saturday, with Rahim Stephens striking 4 times, while goals by Akemio Abraham Tarvon Joseph and Sherman Williams led GTC St John’s Sports to a 3-1 triumph over St David’s FC. On Sunday, Denron ‘Toco’ Frederick struck twice to inspire Shamrock to a 4-2 win over Glovers Spice Boys, while Happy Hill FC hammered Sun Jets 5-0, with Quinton Bain and Lindon Joseph scoring twice and Kitson Bain the other.